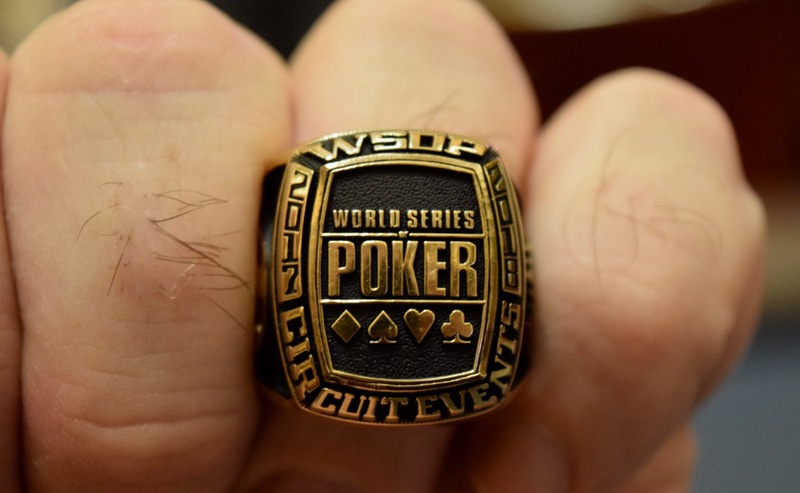 One from the money in @WSOP Circuit Event 2 - $365 Turbo - and JohnQTD has told the two tables of players it is hand-for-hand time. Two minutes comes off the clock for each hand until there's an elimination, then the clock and the action resumes. There's a brief pause when down to 10 players as WSOP Circuit staff gets brief interviews with each player for a profile as part of the final table recap they provide for each event this series. The next pause is to present the winner a ring. Yep, just like the one in the photo on this blog post.